See them live at The New Parish on Friday September 22. 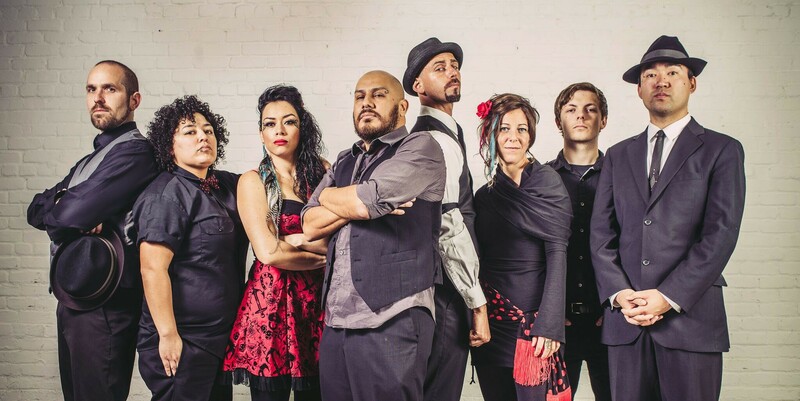 Oakland band La Misa Negra is a fixture in the Bay Area's Latinx music scene. 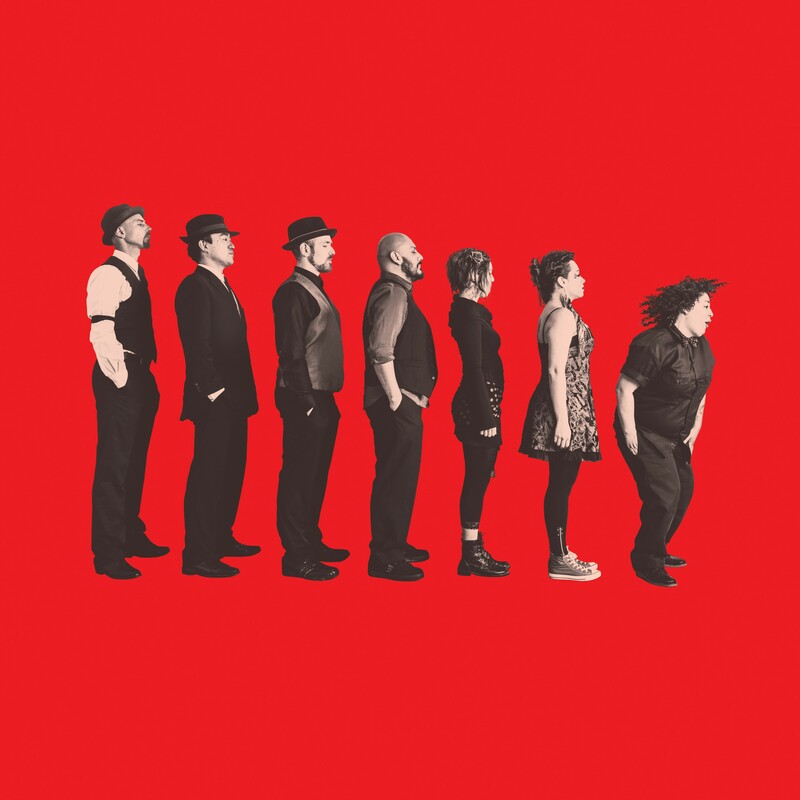 Founded by composer, guitarist, and accordion player Marco Polo Santiago, the band also consists of Colombian-born Diana Trujillo (lead vocals), Justin Chin (tenor and baritone sax), Morgan Nilsen (tenor sax and clarinet), Craig Bravo (drums and percussion), Elena de Troya (percussion), and Paul Martin Sounder (upright bass and percussion). Since forming in 2011, La Misa Negra has performed all over the United States, spreading their diverse cultural backgrounds in the form of their infectious cumbia sounds. The band's music is heavily influenced by Afro-Latin sounds, accordion riffs typical of music from Mexico and Latin America, and hip-hop, jazz, rock, and heavy metal. This eclectic mix of rhythms makes La Misa Negra one of the most entertaining live bands, sure to have you singing and dancing all night. The Express recently caught up with Marco Polo Santiago to talk about the band’s sophomore self-titled album, which will be released on September 29, as well as its upcoming album release party at The New Parish on Friday, Sept. 22. Express: What was the thought process behind getting in the studio to get this album ready? Santiago: I wanted to build upon that old-school sound that we have and take it further into the future. We’re incorporating various Afro-Colombian rhythms that we hadn’t before and also tapping more into outside influences, like rock and salsa, but still keeping everything within that trademark LMN sound that we have. What were some of the challenges you guys encountered? The music itself is more challenging to perform. We have horn lines that are harder to play. We also have rhythms that are faster and more complex, so it took us time to be able to get everything right. Some of the arrangements are really elaborate, and I wanted to try a lot of things we hadn’t done before. I also wanted a bigger sound, with more horns and more singers, so we enlisted a lot of guest musicians from the Bay – most of them friends of ours, like Deuce Eclipse (Bang Data/Zion I), Kata Miletich (Locura), Mario (trumpet player from Rupa & the April Fishes), Adam Theis (Jazz Mafia), and Jesse Sheehan (who used to play sax in Candelaria). Caipo from Bang Data produced the album along with me and we spent almost nine months crafting this thing together. What can fans of LMN expect from this album? Fire! It still sounds like us but it’s bigger and harder. It sounds more like our live shows than the first album. The cover of La Misa Negra's new album. We all have our own favorites but for me, I love "Dueña de Mi," "Sancocho," "Acosadora," and "Pistola." We have a remake of an old Cuban song, called "Yayabo," that I also enjoy a lot. And it starts with a Wu-Tang inspired sample. I had to throw in some Wu-Tang on this album. I also threw in some Black Sabbath and Alice in Chains for the rock/metal heads. What is your favorite part about playing shows? I started this band specifically to put on a crazy, rowdy show. We’re a live band first and foremost, so performing in front of people is the only reason this band exists. I think most artists prioritize making albums. We’re the opposite. For someone who has never been to a LMN show, what can they look forward to? They can look forward to having to shower afterwards because they’re walking out of that place drenched in sweat. La Misa Negra's new album will be available for sale at the New Parish show on Friday, Sept. 22, and is available for pre-order on iTunes and Bandcamp. It will be widely released on Sept. 29.